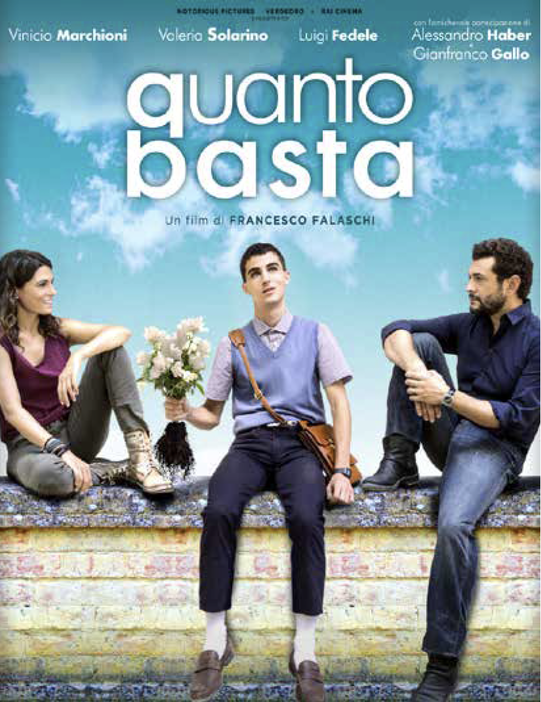 The film “Quanto Basta”, directed by Francesco Falaschi, well known for his short films and many international awards, opened in cinemas on 5 April 2018. It is an all-Italian story of friendship and cookery, also featuring GlemGas, alongside leading actors Vinicio Marchioni, Valeria Solarino and Luigi Fedele. In fact, Glem built-in ovens and induction hobs play a major role in the design of the set for the cookery competition for young talents in Tuscany, in which Guido will take part, reaching the final in spite of the initial doubts expressed by his teacher and mentor, Chef Arturo. Arturo is a very talented chef with a rebellious nature and anger-management issues, who has been sent to prison for brawling and is spending the final months of his sentence doing community service by teaching a cookery course at a centre for autistic children, where Anna works. Here he meets Guido, a gentle young aspiring chef with Asperger's syndrome and a great passion for cooking. The improbable friendship and sense of brotherhood which springs up between them will change both their destinies. Arturo tends to be highly critical and argumentative, saying exactly what comes into his head without considering the consequences, but even though he has not always made the right life choices, his talent in the kitchen is undeniable. Guido is very thoughtful and introverted, knows the great Chefs' recipes off by heart and has a Perfect Palate. He does not like physical contact and wants to take part in the contest to win an internship and finally find a job. They both have a personal vision of food and cuisine. And in spite of their eccentricities, when it comes to cooking they are more traditional than experimental. Although “Quanto Basta” is a film more about friendship than about cooking, it is in regard to food that the two protagonists have something in common: they always insist on the very best. It is during the journey they undertake to the competition venue that the perspective gradually shifts, until the viewer finds himself wondering who is accompanying whom. We are particularly proud to have contributed to a film that discusses positive feelings and emotions, with a mixture of different personalities, high standards, tradition and modernity, and a message promoting change and sharing of which we can only approve.